Need some alligator pencils? 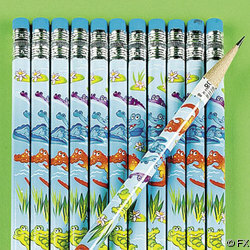 These smiling whimsical alligators are all over the pencils in cheery colors of green, orange, blue, and purple. 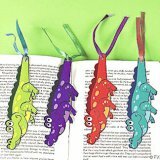 Perfect for party favors! You get a pack of 12 wood pencils, 7-1/2" long with erasers.